When my next door neighbour Saniya, announced her wedding I was so happy for her. But when she gave me her wedding card, I was more than elated. So, Saniya is a typical Marathi Mulgi who fell for the dashing Shetty Anna - Mihir. 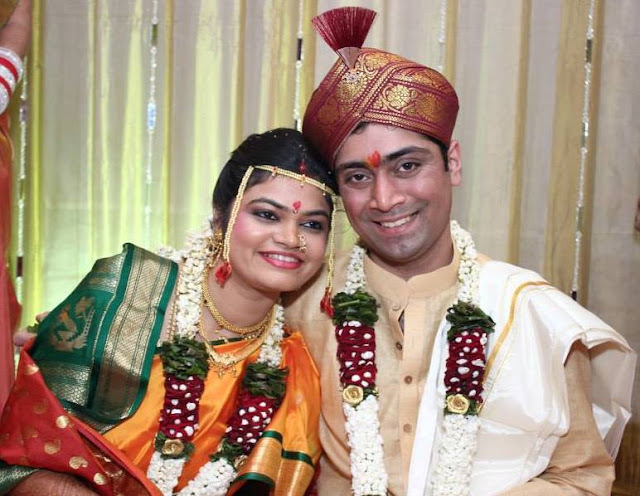 Their wedding was a mix of both Marathi and Shetty wedding rituals, and hence their wedding invitation too deserved an interesting twist. 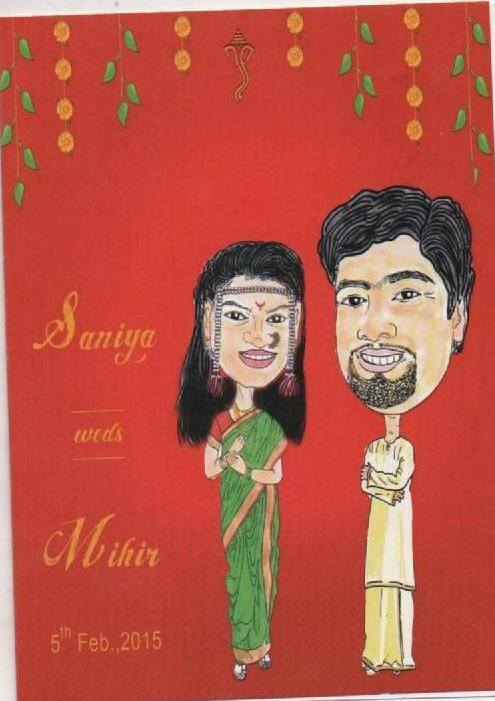 The very quirky Saniya decided to take control in her hands and got her wedding card custom made. I loved the idea and thought it was quite interesting. It definitely deserved a mention on So-Saree and hence this post. Let me know in the comments below if you like the card, and would you try this concept for your wedding invites?